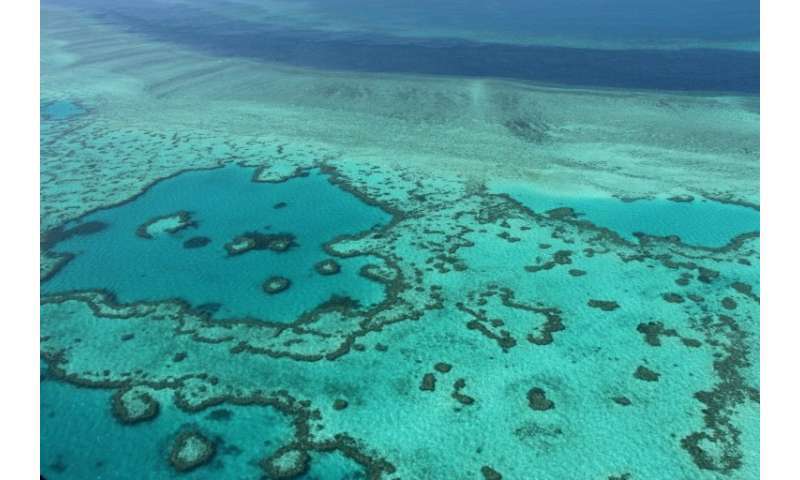 Australia recommended opening more of its marine parks, including near the Great Barrier Reef, to commercial fishing Wednesday in a decision slammed as the worst downgrading of a protected area in the world. The government said the move, affecting 44 parks, was made after an independent scientific review and allowed a more balanced approach to ocean protection, maintaining sustainable fishing while promoting ecotourism. "By being more targeted with restrictions and integrating marine park management with world-class fisheries management, we have not only increased conservation protection, but also ensured regional economies are supported," said Environment Minister Josh Frydenberg. Australia is home to the second largest area (3.3 million square kilometres) of marine parks in the world, with 36 percent of its waters protected. This compares to the international benchmark "Aichi target" of 10 percent by 2020. Under the proposals, which must go to parliament, 17 percent more of the total area would be open to commercial fishing, while zones where recreational fishing is permitted will also increase. But the area where miners can operate will shrink by four percent with protected seafloor boosted by 200,000 square kilometres. WWF-Australia called it "the largest protected area downgrading in the world", saying more than 35 million hectares will be removed from Australia's marine sanctuary network. "This will send Australia's reputation for marine conservation from the penthouse to the outhouse," said WWF-Australia Head of Oceans Richard Leck. "The Coral Sea, which is the gateway to the Great Barrier Reef, is the worst affected area by far with protected areas reduced by 50 percent. "This expanse of ocean beside the Great Barrier Reef is the Serengeti of the Sea—still largely untouched. "Now it will be open slather for destructive commercial fishing activities like trawling, gill-netting and long-lining." The Labor opposition also slammed the move, with shadow environment spokesman Tony Burke telling broadcaster ABC it was a significant step backwards. "They say they've got a good conservation outcome—that's true if you're not a fish," he said. "Imagine for all the national parks we have on land if at the stroke of a pen the government said, 'They're all still national parks but you can walk into half of them and shoot the wildlife'."